It’s not the first time Nintendo have made a 3D console. 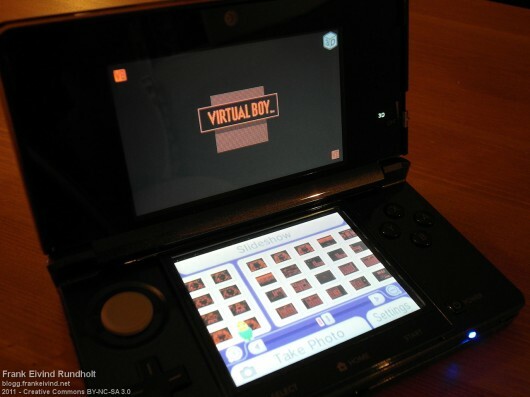 In 1995 they released Virtual Boy (even that is not their first 3D attempt). With the help of emulation, I’ve made a slideshow containing 151 screenshoots from the following Virtual Boy games: Galactic Pinball, Jack Bros., Mario Clash, Mario Tennis, Space Squash and Virtual Boy Wario Land. As a bonus, I’ve made screenshots from the following Sega Master System 3D games: Blade Eagle, Maze Hunter 3D, Missile Defence, Out Run 3D, Poseidon Wars, Space Harrier 3D and Zaxxon 3D. 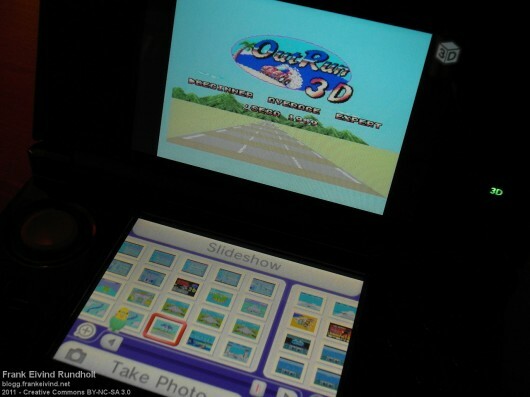 Both slideshows can be viewed in 3D on the Nintendo 3DS. The pictures are in MPO-format. Unzip the folders in the zip-file to the folder DCIM on the SD-card you use with your Nintendo 3DS. If you’re interested, you can watch 12 minutes of Virtual Boy Wario Land in 3D in another blogpost I’ve made. Very nice meke me remenber when i was 7 years old ang i got on cristmas my master system with the out run 3d game and gangster tonw ,space harrier. It would be cool to get the hold of a SMS 3D game or two, but some of them are very high priced on eBay. I love Out Run on the Master System.